The High Frequency Active Auroral Research Program, or HAARP, is a magnet to conspiracy theorists. One argument that ‘proves’ there is indeed a conspiracy is in the screenshot below. What are they hiding, one ponders, looking at semi blurred aerial image. Anyway, more info here. The blurriness is by Google. The hi res photo has limits so the layered with lo res photos. Pan right and left from this area and you will see the the edges lead to a corner. 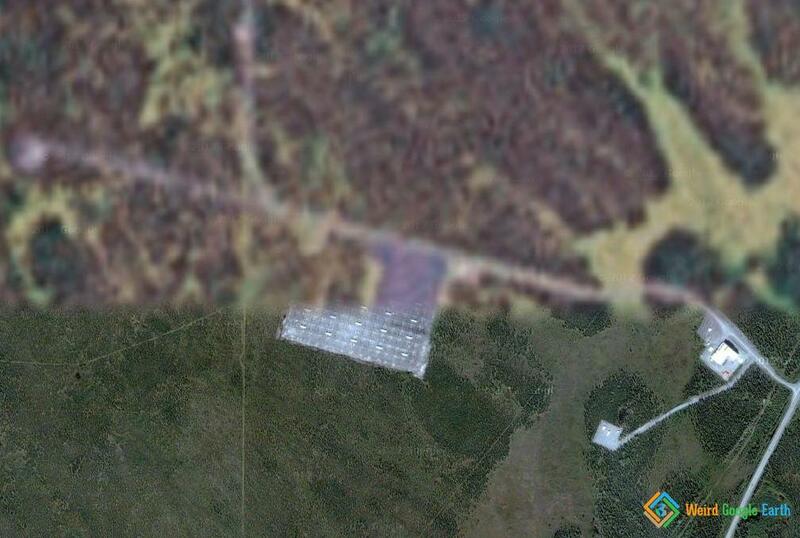 If you turn on Historical Imagery you can make out dozens of blocks of imagery. You will also notice some areas have more space photos taken than others, you can see those in some parts of N Canada or N Greenland. On here maps, the location is clear without any blurriness, so it is just the picture-stitching of Google maps.